This week, we’re getting ready for romance, but outside of Valentine’s Day, we’ve got track and field, Trick-A-Trout, a starfest, and the chance to chunk your junk. Let’s make it a love match all the events this week in Frisco! “2017 Indoor Track & Field Classic” – On Thursday, February 9th, through Saturday, February 11th. After a more than 30-year hiatus, a major indoor track and field event for collegiate and high school athletes is coming to North Texas. The event, scheduled for February 9-11, 2017, will be held in Frisco, Texas at the newly built Ford Center at the Star–the world headquarters and practice facility of the Dallas Cowboys. The event will feature 25 collegiate teams including schools already committed from Conference USA, the Big 12, Sunbelt Conference and more. Some 200 high schools will be represented as well. In all, 3,000 athletes will participate in what is considered to be the largest indoor track meet ever to take place in Texas. “26th Annual Texas Home School State Basketball Championships” -The dates for the 26th Annual THSSBC Tournament are February 9-11, 2017. This tournament serves homeschool basketball teams and families and accommodates teams of all ages and abilities from elementary school through high school varsity. 6155 Sports Village Rd. Frisco, TX 75033. THSSBC is an independent, non-profit Texas state basketball tournament that is run by home school families and leaders. “RED: Artist Reception” – At 7pm in The Gallery 8680, come see RED art, a collection of art by local artists celebrating the color RED. View a beautiful, vibrant display of work and meet the artists at the opening reception. Free and open to the public. “Alice’s Adventures in Wonderland Jr.” – At 7pm in the Frisco High School Auditorium, Star Moments Theatre bring you the story of Alice in Wonderland Jr. as you’ve never seen it before. Join Alice on her curious adventures as she chases the White Rabbit down the rabbit hole to meet the Queen of Hearts. Come and enjoy the theatrical magic of Alice in Wonderland which is promised to enchant audiences of all ages. Featuring brilliant actors, fun costumes and creative set designs, this performance is not to be missed! Friday, February 10, 7pm // Saturday, February 11th, at 1pm. Tickets $15/$8 by calling 972-302-5093. “Texas Legends vs. Iowa Energy” – Tip off at 7:30pm in Dr. Pepper Arena. Get your Texas Legends tickets! “Frisco Starfest” – Texas Astronomical Society holds one monthly Star Parties where members and guests can get together to observe and educate others about the night sky. Look at planets, stars and other celestial wonders at Frisco Starfest, taking place the second Saturday of each month at Frisco Commons Park. “I-CreateArt.com” – From 10:30 am – 11:30 pm, i-CreateArt.com offers unique and creative art workshops for children with European teaching methods. The Gallery 8680, 8680 Main Street. “Chunk Your Junk” – Doing some New Year’s cleaning or getting ready for spring? Take advantage of our “Chunk Your Junk” event on Saturday, February 11 from 8 am to noon at the Environmental Collection Center (6616 Walnut Street). Frisco residents with a utility billing account can donate, recycle or throw away common household items. Check this list for more information on acceptable and unacceptable items. Reminder: Bring a copy of your Frisco utility bill and a valid driver’s license! “Trick-A-Trout” – The Trick-A-Trout Kid Fish is a great opportunity for first time anglers to try the sport of fishing. Because only kids up through age 16 will be allowed to fish for the first three hours, they will have a chance to hone their fishing skills. The average size of the fish will be eight to ten inches and the daily bag limit is five per child. 3,000 Rainbow Trout are released in the Commons pond, located north of the main pavilion. Please bring your own fishing gear and bait. There will be no concessions at the park, so bring your own drinks and snacks. Everyone is encouraged to keep what they catch since trout cannot survive when water temperatures rise in the spring. This event is rain or shine so everyone is encouraged to be prepared for the weather. 8:00 a.m. to 11:00 a.m. Frisco Commons, 8000 McKinney Road. “Read to Rover” – Grab a book and practice read-aloud skills with a therapeutic furry friend. Free ticket required, and space is limited. Tickets are released on the 2nd floor 30 minutes before the class begins. Student must be present to get a ticket. Attendees will take turns reading to therapy dogs. Reading time depends on the number of attendees. From 3-4pm on the 2nd floor in the Children’s Program Room, Frisco Public Library. “Paint by Candlelight” – CREATE LOVE this Valentine’s Day! Plan a creative date with your crush. Flickering candles, roses, FREE KISSES (the chocolate kind) will create the ambiance as you create your work of art and special memories with your favorite Valentine! 2 hour seatings available at 6:30pm or 8:30pm. Includes your Studio Fees and a Private Table for 2 hours. Pottery pieces purchased separately. “Women Enhancing Business (WEB – Frisco Chamber) Monthly Networking” – Please join our wonderful women of WEB at the February Networking Mixer, sponsored by “Dr. C” (Dr. Shahan Chowdury) titled Love yourself from the inside – out: A Principled Medical Aesthetic Approach to Beauty. Dr. Chowdury will talk about our medical and aesthetic model and how the two interconnect. 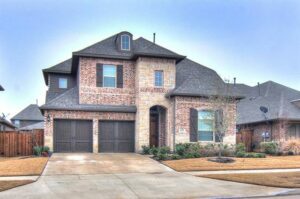 From 5:30pm to 7:30pm at Jenny Dowdy Realtor Keller Williams, 4783 Preston Road, Suite 100, Frisco, TX 75034. VIP Free Check-In for Current WEB Members. Remember, you must join WEB each calendar year. (Your business must be a Frisco Chamber of Commerce Member to join WEB.) Non-WEB Members will pay $15.00 cash, check, or credit card. While payment is accepted at the door, please register so that we have ample refreshments. PogoPass: Get a $124.95 PogoPass for ONLY $49.98 when you use code: FRISCO. You’ll have access to some of the most fun venues around town this summer including the Frisco RoughRiders, Sci-Tech Discovery Center, Fort Worth Zoo, Texas Discovery Gardens, and many, many more! “ART IN THE ATRIUM 14 – Call for Artists” – Deadline is February 20, 2017. The City of Frisco seeks current, 2-Dimensional works of art by artists from Frisco and the surrounding area for the 14th installment of Art in the Atrium. The exhibition showcases regional artistic endeavors and encourages public dialogue, understanding and enjoyment of visual art. The program’s goal is to reflect the artistic excellence in and around Frisco and to promote the City’s cultural and economic initiatives. Art in the Atrium 14 is scheduled for Monday, April 10, 2017 through Friday, September 8, 2017. March 29th – Small Group Intensives (Additional purchase required) & VIP Happy Hour/Book Signing. March 30th – General Admission Ticket to All Day Event, Including Lunch. “8th Annual Arts in the Square” – On Saturday, April 1st, through Sunday, April 2nd, the outdoor arts festival and will feature over 120 of some of the best local and regional artists selling their handmade creations.